My very first try at making a quiche! I wanted to eat sweet potato. We hadn’t had it in a while, so I figured I should buy it and cook with it. I also wanted pinach for basically the same reason. 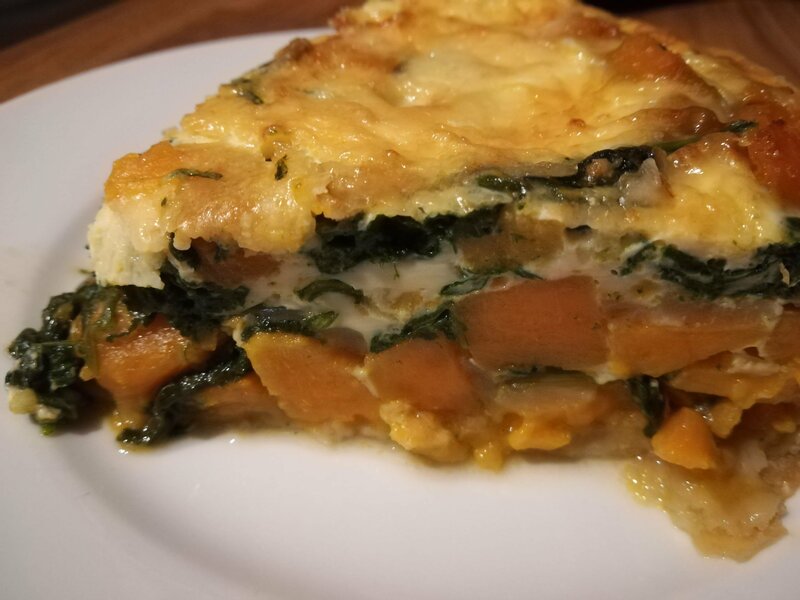 What a coincidence that I found this recipe, shared by a Dutch food blogger, when I searched for sweet potato recipes! So, I decided to try and make this lovely looking quiche. 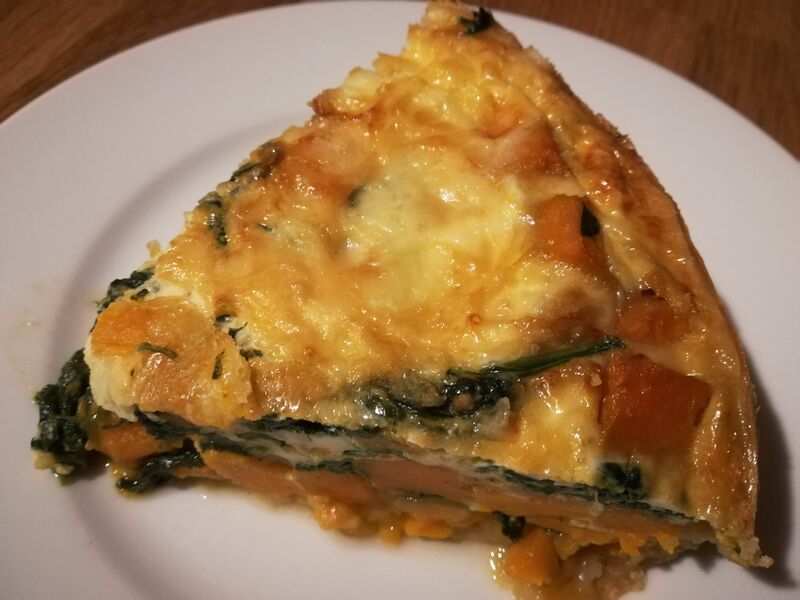 I had never made quiche before. It always seemed like such a hassle with dough and eggs, which I don’t always have lying around. Well, gotta try one day, right? So I ordered most of the ingredients and set to work. I gotta tell you, putting the puff pastry into a spring form is quite annoying when you have long nails, but other than that, this really didn’t take too much effort. Lessons learned huh! Take your puff pastry out of the freezer to thaw. Preheat the oven to 180 degrees. Peel the potatoes and cut them in small blocks. Cut the onion into small pieces aswell. Heat up some oil in a pan and heat up the onions for a little while. Add the garlic through a press, or cut it into small pieces in advance. Add the sweet potato and the herbs. Cook for about 5 minutes. Add the spinach and stir occassionally while it shrinks. Butter or oil up your spring pan and press the puff pastry into it so the entire surface is covered. Mix the eggs and coconut milk in a seperate bowl. Add your potato mix to your spring pan and cover it with the egg mix. Top your quiche with some grated cheese and put it in the preheated oven for 30-ish minutes.